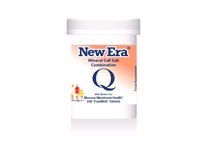 Combination Q ( 240 Tablets ) For Catarrh, Sinus Disorders. Kali Sulph No. 7 ( 240 Tablets ) For Skin condition; skin eruptions with scaling or sticky exudations; falling hair; diseased nails; catarrh.